Apple says it's "investigating" an issue with its podcast data showing sharp and unexpected declines in listenership —but with no corresponding drop in actual listeners. Ad-sponsored podcasts are dependent on accurate data as a way of justifying investments. It's unknown, though, if any podcasts have temporarily lost financial backing. Podcasters are especially dependent on accurate data from Apple. 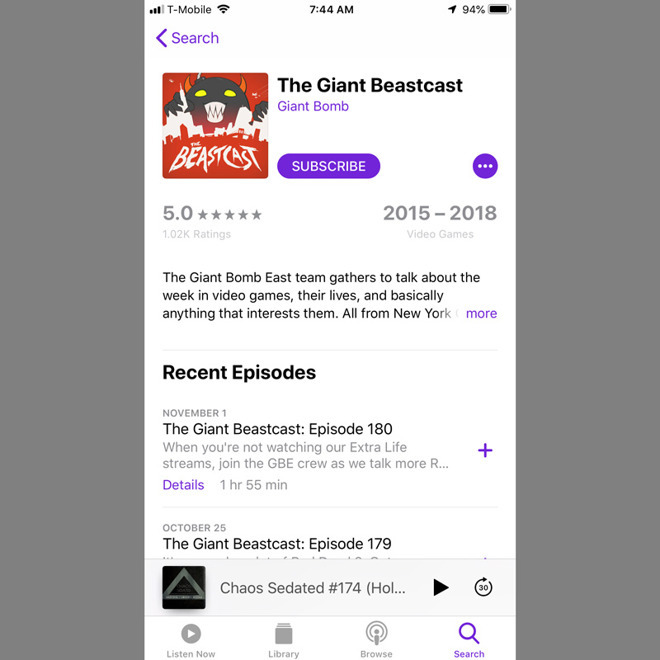 While shows can be distributed through a variety of platforms, iTunes is still a primary hub that podcasters rarely ignore. The term "podcast" in fact originates from Apple since it's a portmanteau of "iPod" and "broadcast." Podcasts allowed owners of iPods and other early MP3 players to get around the lack of internet streaming and/or FM radio on those devices.